Are You “Fit For Love”? Have you ever wondered why you are always attracted to the same type of person, even if they are abusive or controlling? And even if you are aware of this tendency, do you feel helpless to change it? After years of observation, Dr. Teshna Beaulieu came up with the concept of a “Love Blueprint,” a unique set of beliefs about love, formed early on in life. 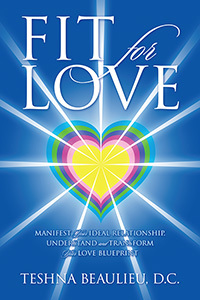 In Fit For Love, Dr. Teshna shows you how to discover your own "Love Blueprint" —as well as a powerful technique to transform it to your advantage. Do you have the Love Blueprint it takes to manifest and maintain a fulfilling, long-lasting relationship? Fit For Love will help you find out! Dr. Teshna Beaulieu received a Bachelor of Physical Education Science in 1981 from Laval University in Quebec and a Doctorate from Palmer College of Chiropractic in 1986. 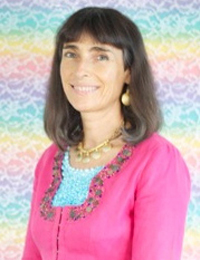 She is a Certified Neuro Emotional Technique Practitioner who has developed a powerful approach to transform one’s Love Blueprint and help people manifest their ideal relationship.